Week 11 features some interesting games, and some very interesting sports betting lines as well. One game that almost immediately caught my eye had to be the match-up between one of the hottest teams in the NFL and a team who is fresh off of getting quite a beat down. The New Orleans Saints have won two in a row, but have also won four of their last five games in order to get back into playoff contention with a 4-5 record after a horrible start. On the other side, the Oakland Raiders have lost two games in a row, are 3-6, and are coming off of a game in which the Baltimore Ravens simply dominated them 55-20. The 3-6 start spells bad signs, as not many teams are able to make the playoffs after a 3-6 start, and I don’t think the Raiders will be able to either. They get to be at home in this match-up against the Saints though, which is definitely nice, and kickoff is set for 4:05pm. Check out the odds for this game at this top sportsbook! Make your bets now! The Saints are riding that powerful offense, but last week in their big win against the previously undefeated Atlanta Falcons their defense actually stepped up big as well. With Drew Brees running the show in New Orleans, it’s really not too surprising that this team has made a turn around after their 0-4 start. The offense is in tune, and they seem to have gotten past the offseason issues as well. If the Saints defense can stay consistently solid then they could definitely turn into a playoff team and possibly even make a nice run, even without head coach Sean Payton. Brees will do his job, but the defense really needs to continue playing at a high level. The Raiders on the other side were without Darren McFadden this past week, and not having him definitely played a role in their loss last week. 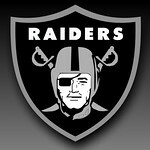 Even with McFadden though I don’t think they could have beaten the Ravens this past weekend. The Raiders defense is really going to need to step it up as they struggled mightily last week, and having that same type of showing against the powerful offense of the Saints will just result in a disaster of a result. The Raiders are going to need to play smart and use up a good amount of clock to keep the ball out of Brees’ hands as much as possible. This top bookmaker is a great place to bet on this big NFL week 11 game. The betting odds for this game show the Saints as -4.5 favorites. 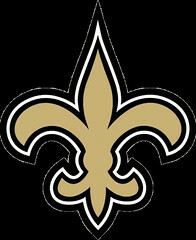 Tough to imagine that the Saints have their hot streak come to an end against the struggling Oakland Raiders on Sunday. While it is the NFL though and anything can happen, I think that the biggest thing is going to be the fact that the Raiders defense has really just been having trouble slowing down opposing offenses. The Raiders were just torched by Joe Flacco, and with all due respect to Flacco, Drew Brees is a better quarterback than he is. I think that Brees has a huge day, and that the Saints defense will do enough to slow down Carson Palmer and the Raiders. I’m rolling with the Saints to win it by ten and cover the -4.5 spread.